I was unsure whether to list this under movie costumes or historical. 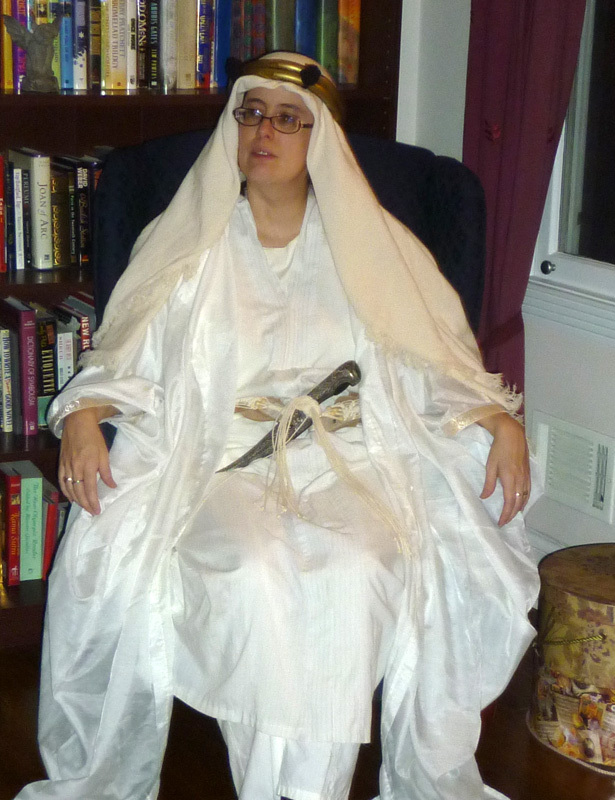 I made an effort to research real Bedouin garb, so it's not implausible to consider this a historical interpretation. 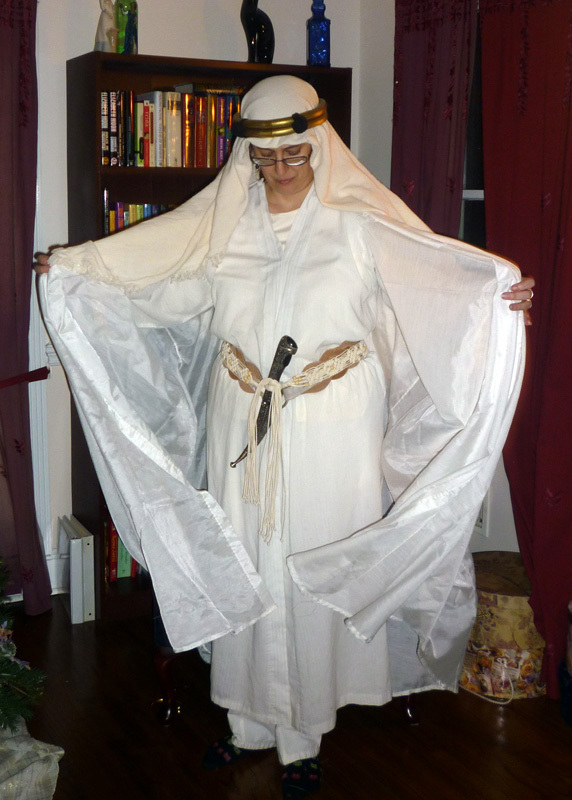 Most of this is thrift store finds, modified to differing degrees. The under robe (thobe) is actually a white bath robe; I just sewed up the front so it would stay closed. The outer robe (bisht) is made of a set of semi-sheer curtains. 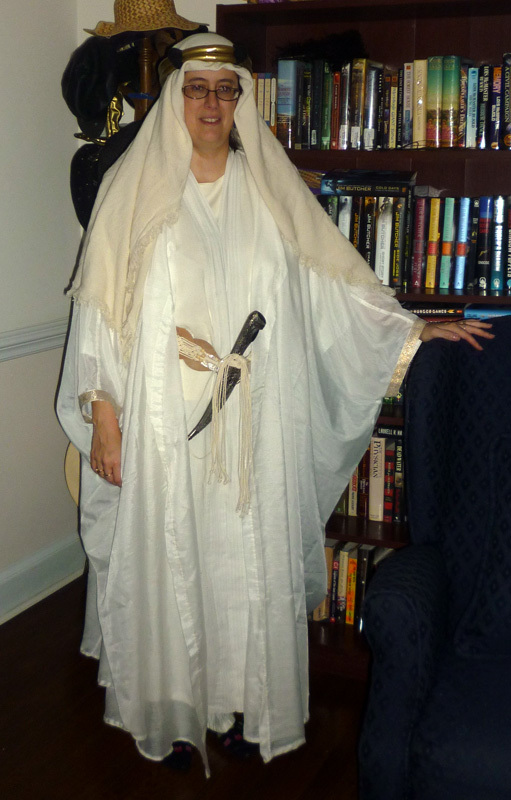 The head scarf (keffiya) I already had in the costume closet as a shawl. 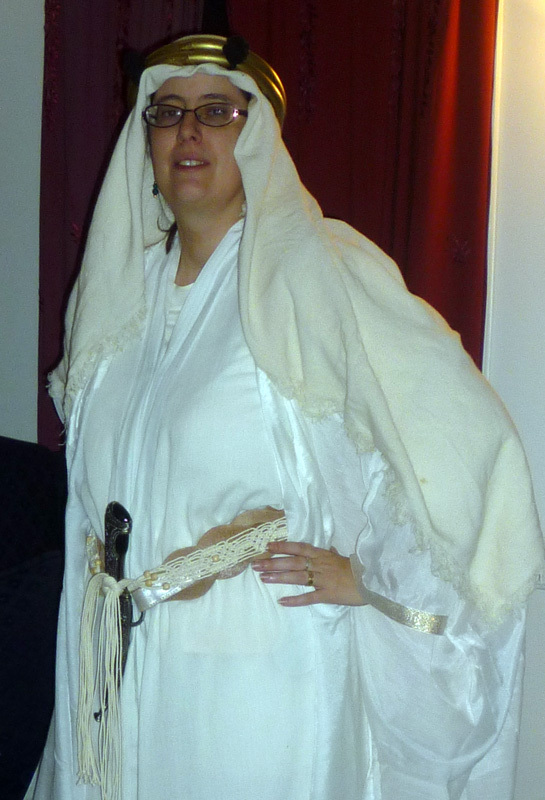 The gold bit that holds it on (agal) is made of--get this--four bendy hair rollers, painted gold and with knots wrapped around them. Special thanks to Brian Richardson for the loan of the dagger. 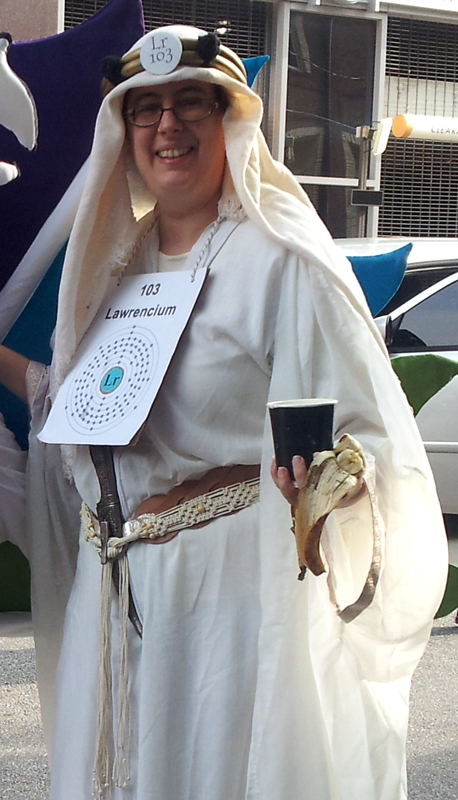 Why Lawrence of Arabia? 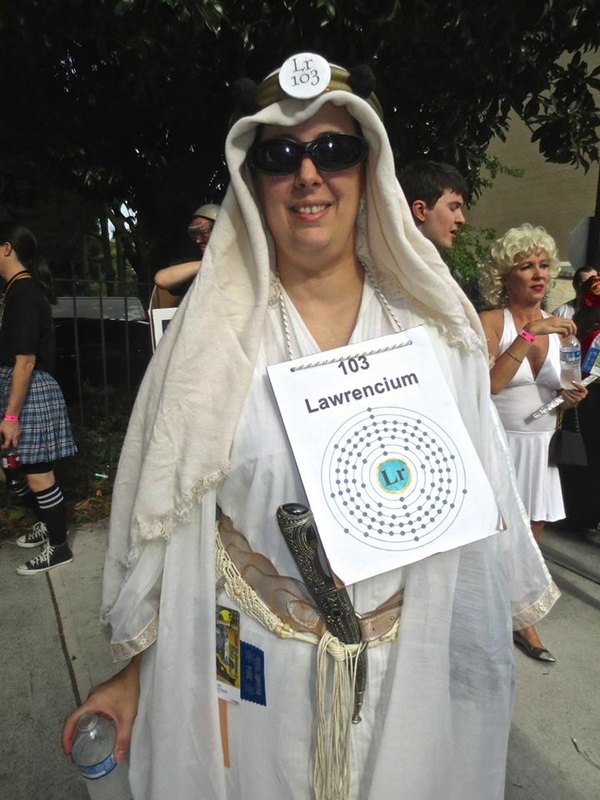 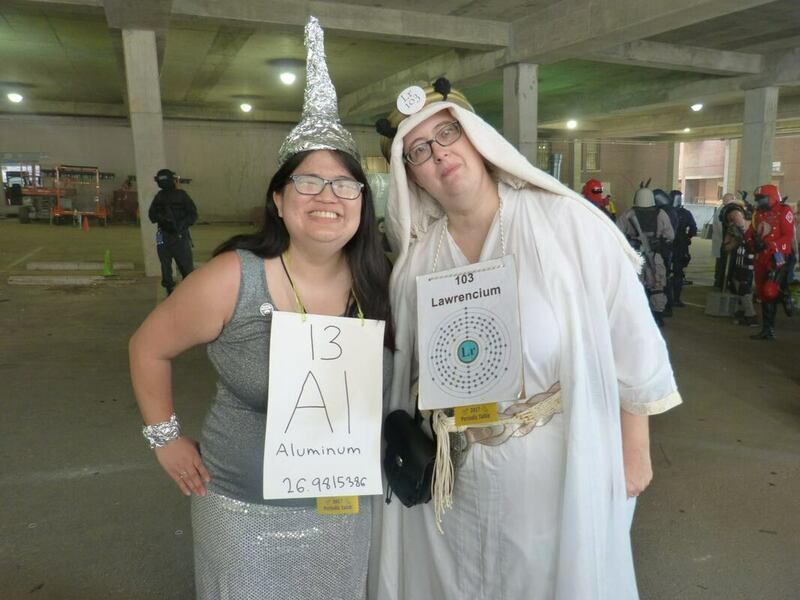 So I could be Lawrencium (Lr) in the Periodic Table of Elements in the DragonCon parade, of course!